This cocktail is a cross between the Oaxacan old fashioned from Death and Co. and a Classic cocktail called the Martinez. I’m currently Martinez obsessed: smooth, delicious and boozy. This cocktails profile is round and smokey from the mezcal which perfectly compliments the mole bitters. Procedure: In a chilled mixing glass filled with ice, add the Tromba Blanco, Martini Bianco and Xocolatl mole bitters. Stir the cocktail to achieve dilution and until fully chilled. 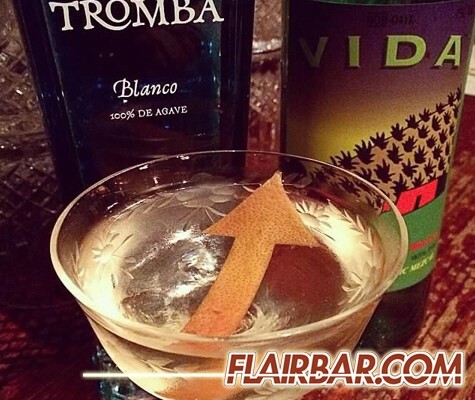 Rinse a chilled coupe glass with the Del Maguey Vida tossing any excess and strain your cocktail into the rinsed coupe. Express a grapefruit zest over the top of the cocktail and garnish. Flavorful fun can be easy too! Flairbar.com sent me some awesome Simply Squeeze Real syrups and this is a delicious and flavor packed cocktail I created with one of them. 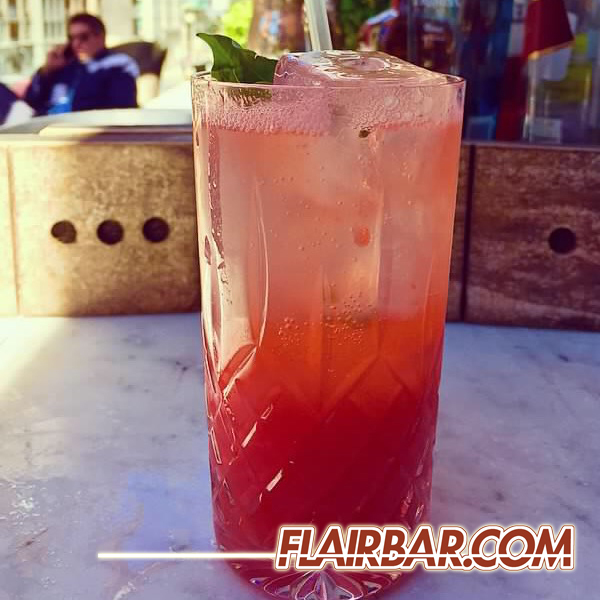 Procedure: In a mixing tin add your Tromba Reposado, lime juice, Simply Squeeze Real Strawberry syrup and hand clapped basil. Fill the tin with ice and shake vigorously. Double strain into a Collins glass over fresh ice and top with soda water. Give the cocktail a quick stir to incorporate all of the ingredients. Sip and enjoy! Garnish: Fresh sprig of basil. This cocktail is a simple riff on a classic cocktail called the Southside. Bombay Sapphire East is made using Vietnamese peppercorns and lemongrass so it pairs perfectly with this recipe. 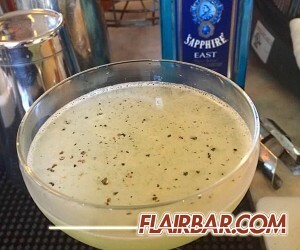 This cocktail is great for cooling off on a patio and the freshly cracked pepper adds a kick. 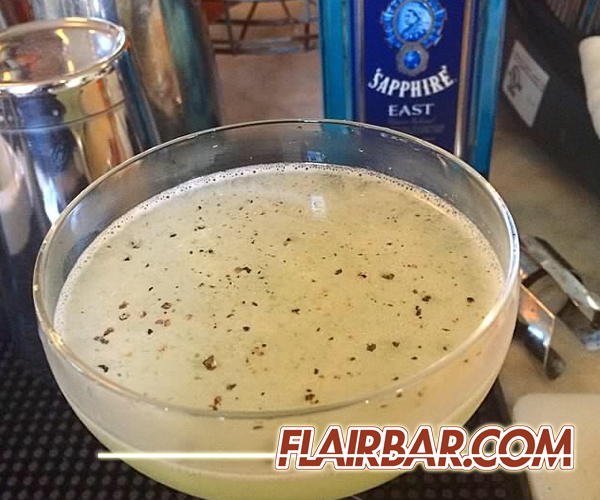 Procedure: In a mixing tin add your Bombay Sapphire East, lemon, Finest Call Bar syrup and hand clapped mint. Fill the tin with ice and shake vigorously. Double strain into a chilled coupe glass. Garnish: Top with freshly cracked pepper.